Looking for a way to make your apartment bedroom soft and romantic? 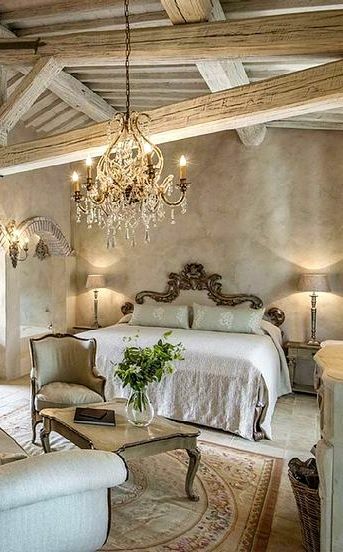 Why not go with a French country bedroom design? The airy lightness that this decor option gives if comforting and welcoming, as well as a pick for romance. Get your pillows and petticoats out. 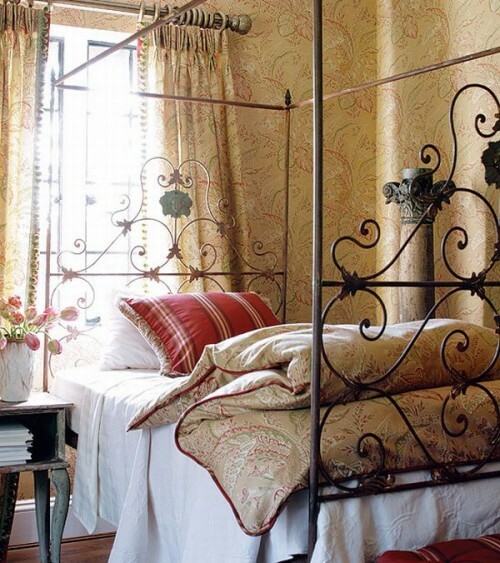 My love for iron work abounds with this French country bed and bedding. 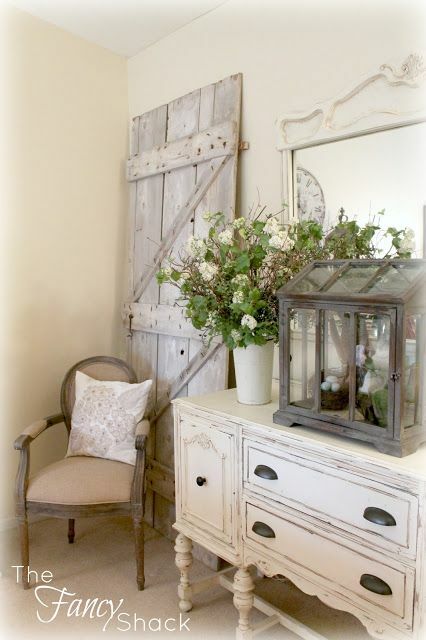 French country gives a soft glowing buttery feel to the space with pale and muted colors often the choice. 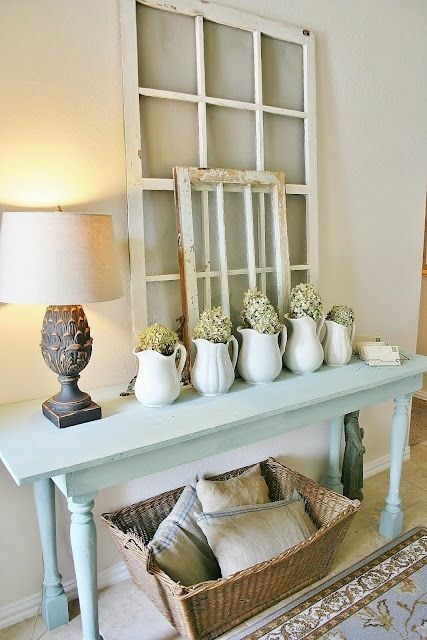 Here I love the shades of ivory with French white furniture. A small apartment bedroom can look beautifully light with pale sage, rose and ivory colors with a lovely French wood daybed. Pretty and green. 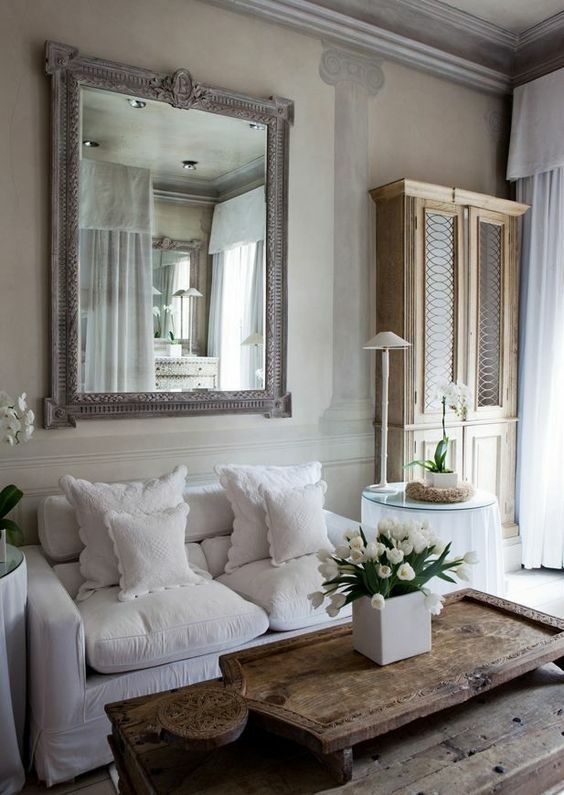 This French country guest room is soft, fresh and light. Love the little nightstand. So chic. 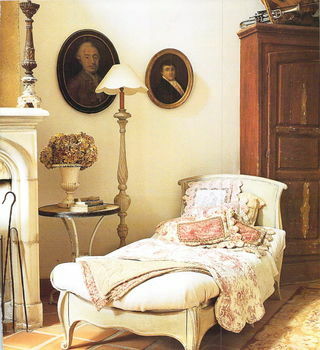 Love French country design for apartment bedrooms.